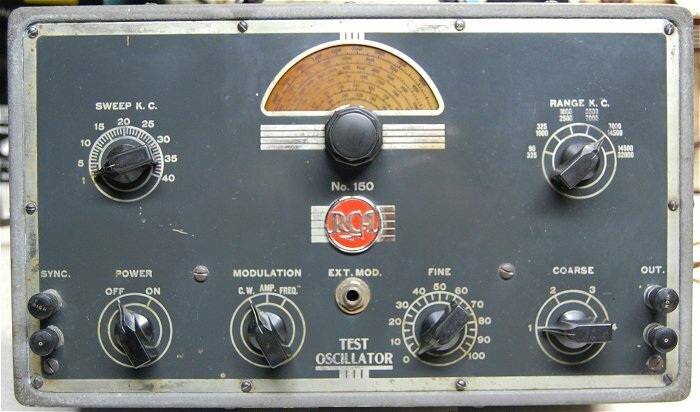 This site contains photos, manuals, and information about antique and vintage test equipment in my collection manufactured by RCA. Any files contained here are items I have collected from vintage sources. There is no guarantee of the accuracy of any information contained on this page. It is solely up to the end user to decide that the information and files contained here are accurate and fit for use with their equipment. 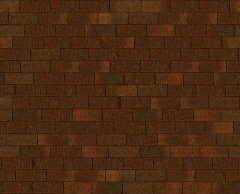 I am not responsible for any loss or damages that may be incurred from the use of this information. This is a private collection. This site is not affiliated in any way with the RCA Corporation past or present. When viewing larger photos you can use your browsers back button to return to this page. 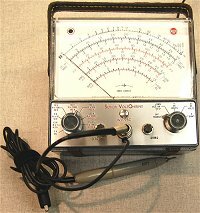 The Rider Chanalyst is probably the best known and most unique piece of test equipment manufactured by RCA. 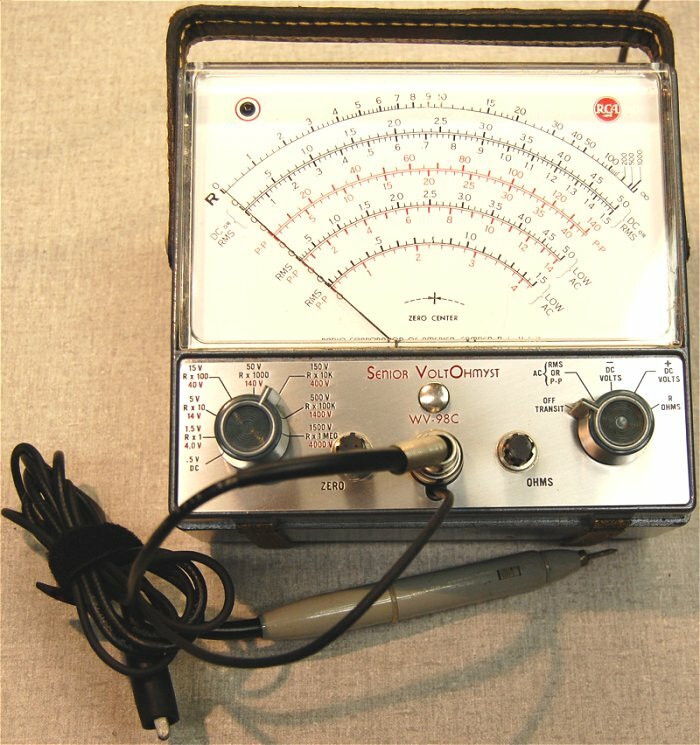 The Chanalyst was designed by John F. Rider to allow the serviceman to listen to and measure the signal as it passes through each of the components in a receiver. 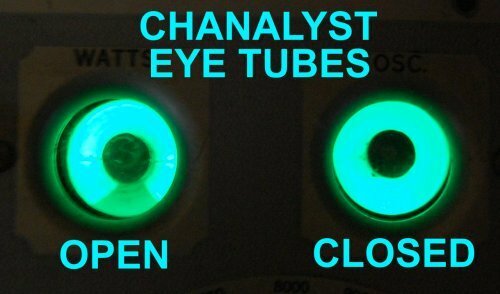 The Chanalyst uses four tuning eye tubes as indicators. 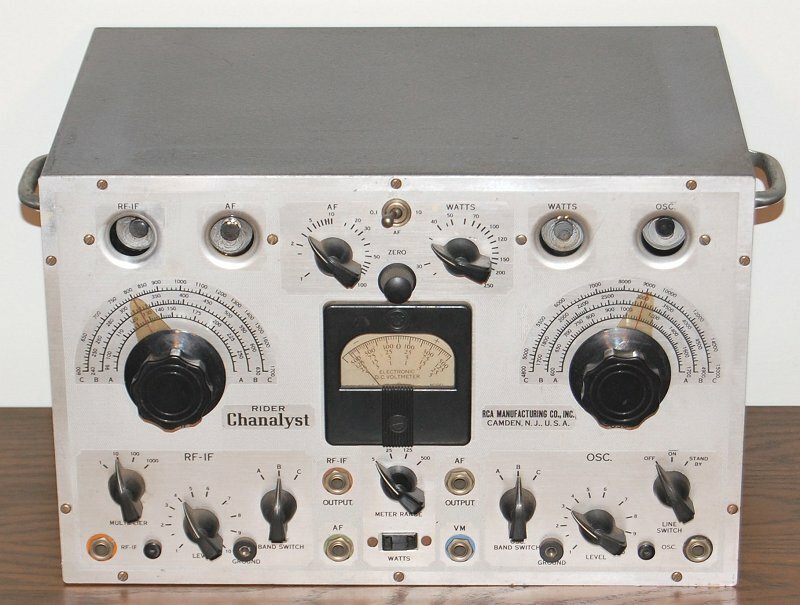 Early Chanalyst models were manufactured by Service Instruments Inc. RCA manufactured and distrubited the later models of the Chanalyst. Combination of RCA radio bench test gear from 1936. 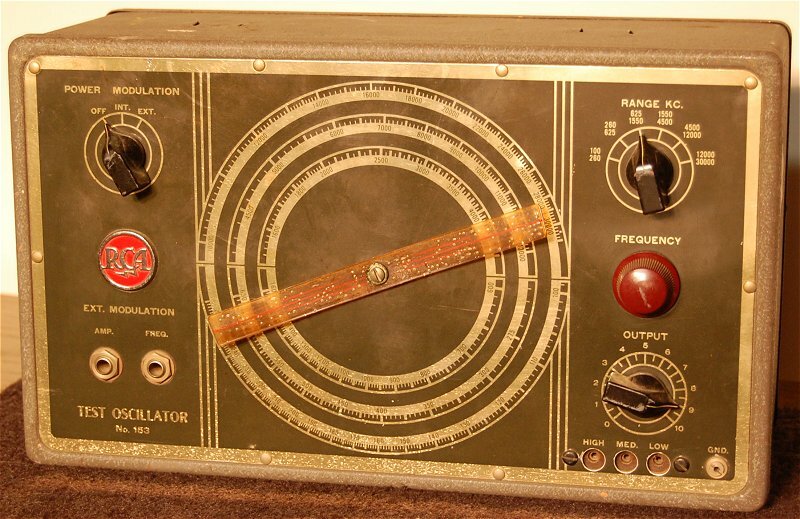 Model 150 "Electronic Sweep Test Oscillator" (Signal Generator) 90 kcs-32,000 kcs. 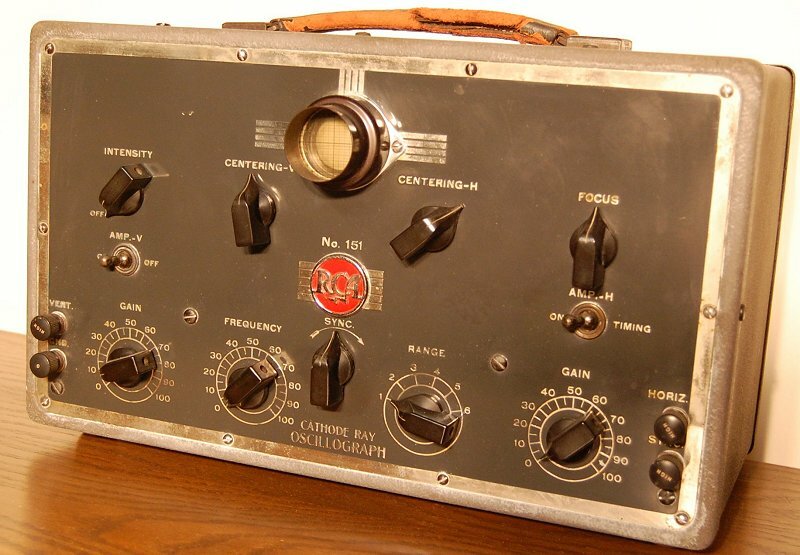 A 1938 combination of RCA radio bench test gear. 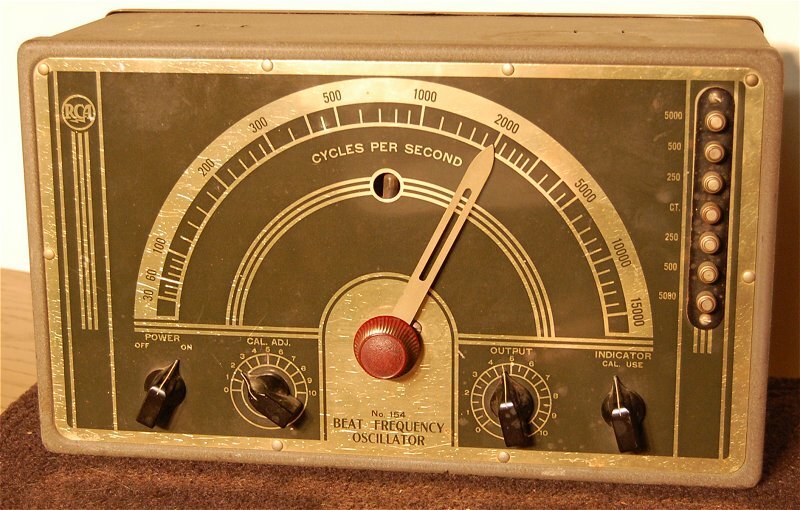 Model 154 "Beat Frequency Audio Oscillator" 30-15,000 cycles. This RCA Senior VoltOhmyst VTVM (Vacuum Tube Volt Meter) is one of my favorite pieces of test equipment on my workbench. The analog meter along with it's high input resistance is invaluable for aligning old radios. The probe is switchable between DC and AC-Ohms. The WV-98C has an input impedance of 11 megohms to prevent loading of circuits under measurement. This is the RCA Test Equipment catalog #105 from 1940 showing drawings and descriptions with prices of RCA's test equipment, including the Rider Chanalyst, the RCA Dynamic Demonstrator, tube testers, tubes, record changers, pick up arms, and parts. RCA was one of the largest vacuum tube manufacturers. At left is the cover of one of their military receiving tube catalogs published during World War II.